They also called for the government to address how mass migration has affected housing, jobs, and integration. 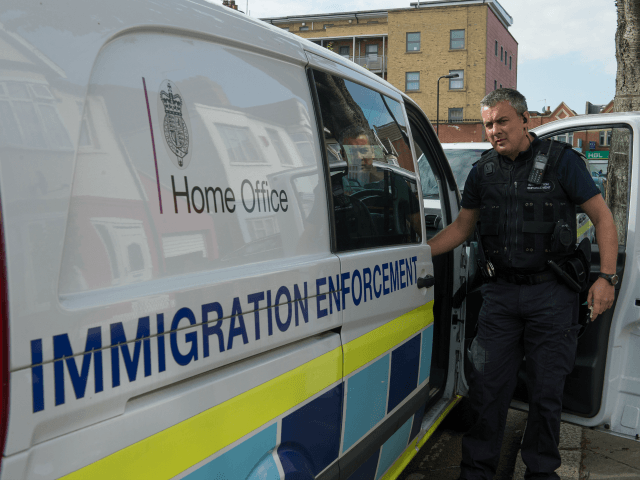 The report by the Commons Home Affairs Select Committee, published Monday, said “there is a lack of trust in official data, targets and decision-making on immigration policy” and called for an “open and honest debate informed by evidence, and a new transparent way of making and debating immigration policy”. Back in 2001, the Home Office claimed there were roughly 430,000 illegal immigrants in the UK. However last year, former Director-General of Immigration Enforcement David Wood, said there were at least a million. The lack of data on who may be in the country illegally “has allowed anxiety to grow unchecked and has been perceived as the government showing indifference,” the MPs said. The document also said immigration rules were complex, hard to understand, widely perceived as “unfair”, and called for more clarity and better enforcement. The government also needs to work to “ensure that immigration works for the economic and social interests of the UK and its citizens” the authors write. At the end of last year, the Bank of England said wages were rising as immigration began to fall after the Brexit vote. Other effects of immigration that need addressing include “housing and public services, and strong local integration plans”, such that the government needed “a strategy to help communities faced with rapid population change”. “Achieving greater consensus on immigration policy will require a transformation in the way it is conducted because in too many areas the current approach has served to undermine trust in the system,” the MPs write. “We cannot stress enough the importance of action to prevent escalating division, polarisation, anger or misinformation on an issue like immigration,” they add.